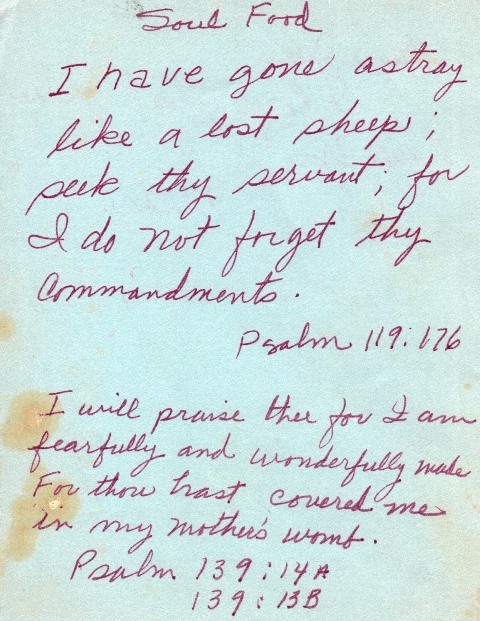 For some reason, my Mother repeatedly shared portions of Psalm 119 with me; among many other scriptures. 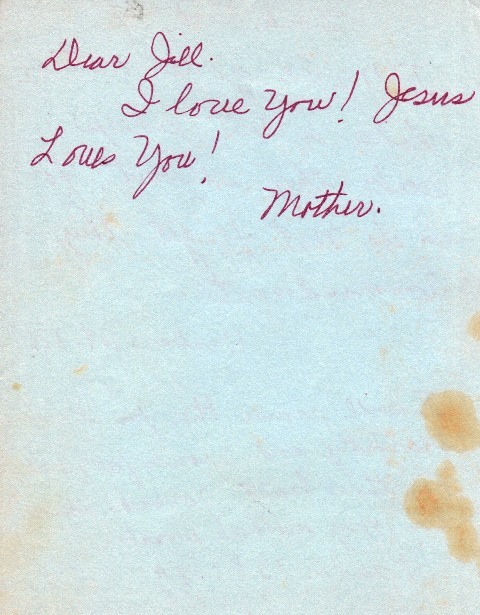 I am so grateful to have these little notes she would send in the mail or simply leave on the counter for me to find; apparently this not is a bit of an admonition, I do not know what I had done wrong. Write it down folks! Those texts and email will not survive. This entry was posted on August 20, 2018 at 12:01 am and is filed under Archived Post, SlideShow, The Dialogue, The Reverend’s Ignacio and Stella Cooper Mosqueda Book Scholarship. You can follow any responses to this entry through the RSS 2.0 feed.